“The Heat” (Point, Eastgate, Star Cinema, Sundance) — Watch your back, Rizzoli & Isles! You’ve got company in the female buddy-cop genre with Melissa McCarthy and Sandra Bullock as the typical Odd Couple fighting crime. The trailer doesn’t look great, but it’s directed by Paul Feig of “Bridesmaids” fame, so here’s hoping. “White House Down” (Point, Eastgate, Star Cinema) — My full review is here. Channing Tatum plays a wannabe Secret Service agent who rescues the President (Jamie Foxx) when mercenaries storm the White House. It’s a surprisingly fun time at the movies, witty and just smart enough not to insult your intelligence. Plus lots of stuff blows up. “Ambikapathy” (Star Cinema) — A Hindu boy recalls his doomed love for a Muslim girl in this Bollywood hit, now dubbed into Tamil. “Rooftop Cinema: Adventures in Space and Time” (Madison Museum of Contemporary Art, 227 State St., 9:30 p.m.) — The last of the June series is an eclectic collection of shorts that all have to do with perspective in some way, including a witty short that looks at an odometer turning from 99,999 miles to 100,000. (It was more impressive in the analog days, kids.) FREE! for MMOCA members, $7 for everyone else. “Muppets From Space” (Memorial Union Terrace, 9 p.m.) — Well, it’s “Muppets FROM Space” not “Muppets IN Space,’ which is a little bit of a letdown. Gonzo’s alien brethren come to Earth to find him in this ’90s movie, which features a lot of ’70s funk on the soundtrack for some reason. I’m sure twentysomethings remember it fondly the way they do “Space Jam,” but the 2011 “Muppets” reboot couldn’t come fast enough for me. FREE! “Django Unchained” (Star Cinema, 10 p.m.) — AMC Theatres has a nifty “Summer Nights” promotion going on this summer. See some of your favorite recent movies for $3 Monday through Wednesday nights, with proceeds going to benefit autism research. This week’s offering is Quentin Tarantino’s bloody and riotous mash-up of the Western and blaxploitation genres, which ends up facing America’s racist past more honestly than a lot of much more polite films. “Despicable Me 2” (Eastgate, Point, Star Cinema) — Steve Carell returns as the lovable supervillain turned superdad Gru, who must foil the plot of his former comrades-in-badness. The first one was a unexpectedly enjoyable animated movie, and as long as there’s a return appearance of the “fart gun” my kids will be happy. “The Lone Ranger” (Eastgate, Point, Star Cinema) — Johnny Depp is Tonto and Armie Hammer is the Masked Man as Gore Verbinski tries to translate the success of the “Pirates of the Caribbean” movies to the Western genre. Anybody else getting a “Wild, Wild West” vibe off of this? So we beat on, boats against the current, borne back ceaselessly into the past — in 3D! The big release this weekend is Baz Luhrmann’s glitzy 3D version of “The Great Gatsby,” which came pre-trashed for a lot of critics. It’s also the last weekend for a lot of film series on campus, so there are options in case you don’t want to see Daisy Buchanan coming right at you! “The Great Gatsby” (Point, Eastgate, Star Cinema, Sundance, Cinema Cafe) — It’s hard to think of a more unlikely summer movie than this all-star adaptation. I highly enjoyed both Luhrmann’s “Romeo and Juliet” and “Moulin Rouge,” but is he chasing the glamour of “The Jazz Age” at the expense of the tragedy? “Peeples” (Point, Eastgate, Star Cinema) — Tyler Perry put his stamp on this domestic dramedy, although he isn’t more than a producer for this film about a suitor (Keith Robinson) stuck with his uptight future in-laws on vacation. But it’s getting a little better reception from critics than Perry’s usual fare. “Koch” (Sundance) — My full review is here. Not the Wisconsin Film Festival hit “Citizen Koch,” this documentary is about Ed Koch, the combative former New York mayor who embodied both the strengths and the flaws of his city. “West of Memphis” (Sundance) — The latest and most extensive documentary to look into the case of the West Memphis 3, three Arkansas teenagers railroaded into a conviction for a supposedly “Satanic” murder. This installment focuses on DNA evidence that strongly pointed to another suspect. “Gimme Shelter” (6:30 p.m., Union South) — The death of the ’60s can be charted in this gritty tour documentary, which follows the Rolling Stones to their disastrous Altamont show. Free! “Max Et Al Ferrailleurs” (7 p.m., UW Cinematheque) — In Claude Sautet’s largely neglected 1971 crime masterpiece, a bored detective lures a gang into committing a big bank robbery. Free! “Trainspotting” (8:30 p.m., Union South) — Danny Boyle’s exuberant and raw 1996 film about a bunch of cheery lowlifes in Edinburgh. Free! 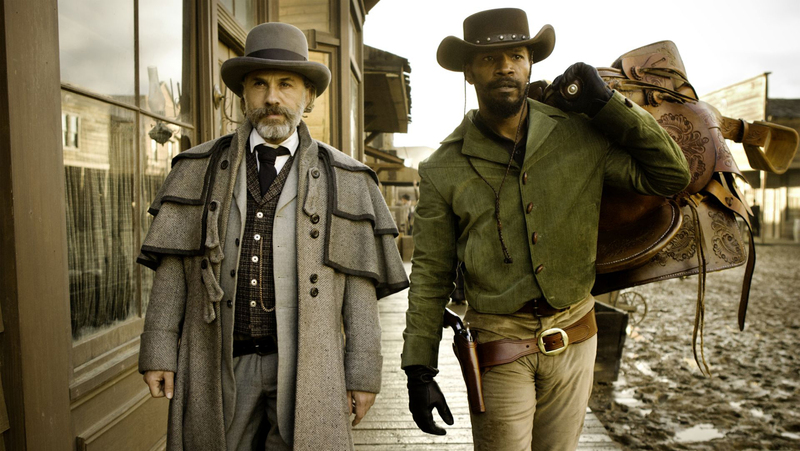 “Django Unchained” (11 p.m., Union South) — Tarantino’s best since “Jackie Brown,” this intense and funny mash-up of spaghetti Western and blaxploitation uses its genre influences to make a surprisingly direct and powerful indictment of the legacy of racism in America. Free! Communication Arts Showcase (7 p.m., UW Cinematheque) — A showcase of the work done by this semester’s Comm Arts students. Free! “Monty Python and the Holy Grail” (midnight, Union South) — The eminently quotable 1974 riff on the Arthurian legend, with killer rabbits, horny nuns, and rude Frenchmen is a comedy classic. Free! 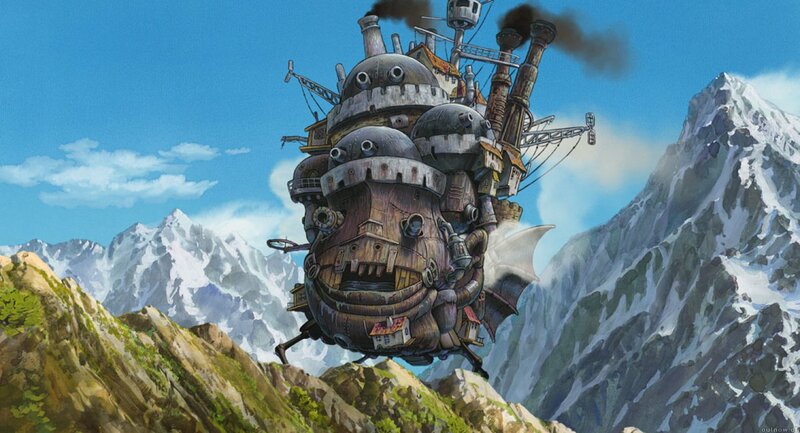 “Howl’s Moving Castle” (2 p.m., Chazen Museum of Art) — Cinematheque at the Chazen’s immensely popular series on Studio Ghibli concludes with Hayao Miyazaki’s wonderful animated film, in which a teenager is trapped in a magician’s walking castle and must find the spell to set her free. Free (the movie, that is), but these have almost all sold out, so get there early. “Billy Elliot” (3 p.m., Union South) — You’ve seen the musical at Overture Hall, now enjoy the original movie, with Jamie Bell as a Welsh boy who yearns to put down the boxing gloves and pick up the unitard and join the ballet. Free! “Free the Mind” (all day, Sundance) — In honor of the Dalai Lama’s visit to Madison, Sundance is screening this documentary about Dr. Richard J. Davidson of the UW, and his research into the power of meditation. The film also plays all day Thursday. “Blazing Saddles” – (1:40 and 7 p.m., Sundance) — The Sundance Classics series features Mel Brooks’ zany Western classic, with Cleavon Little and Gene Wilder. “Star Trek Into Darkness” (Point, Eastgate, Star Cinema, Sundance, Cinema Cafe) — J.J. Abrams’ second film in the rebooted franchise gets an early jump on the weekend, with Benedict Cumberbatch reportedly Khan-level good as the bad guy.